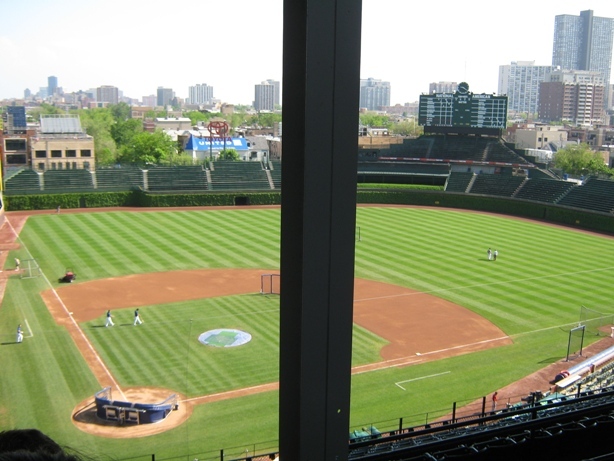 One could probably write an entire book about how to avoid obstructed views at Wrigley Field, as Tim Shea did with Fenway. There is, in fact, an excellent website dedicated to the subject called “WrigleyGuide”, run by the resourceful and intelligent Matt Motyka. If you have time to check the seats you’re looking for, it’s a great resource. But just to get you started, here are some basics to keep a big support pole from blocking too much of your view of the field at the Friendly Confines. It’s better since they added those newfangled “TV sets”. In the lower Terrace Reserved sections, those big poles hold up the upper level; in the Upper Reserved sections they hold up the roof. In most Terrace sections in the lower level, the pole is in Row 6; it’s in Row 1 of the upper sections. Support poles are almost always in Seat 1 or 101 of a section, except for 2-3 sections (211-218) on the third base side. In the Terrace, stay away from the seats ending with low numbers in rows 7-10 – although the opposite applies in Sections 211-218. If you get a seat in Rows 11-18, the pole won’t likely be too much of a problem, but in higher rows the overhang could block your view of the scoreboards. 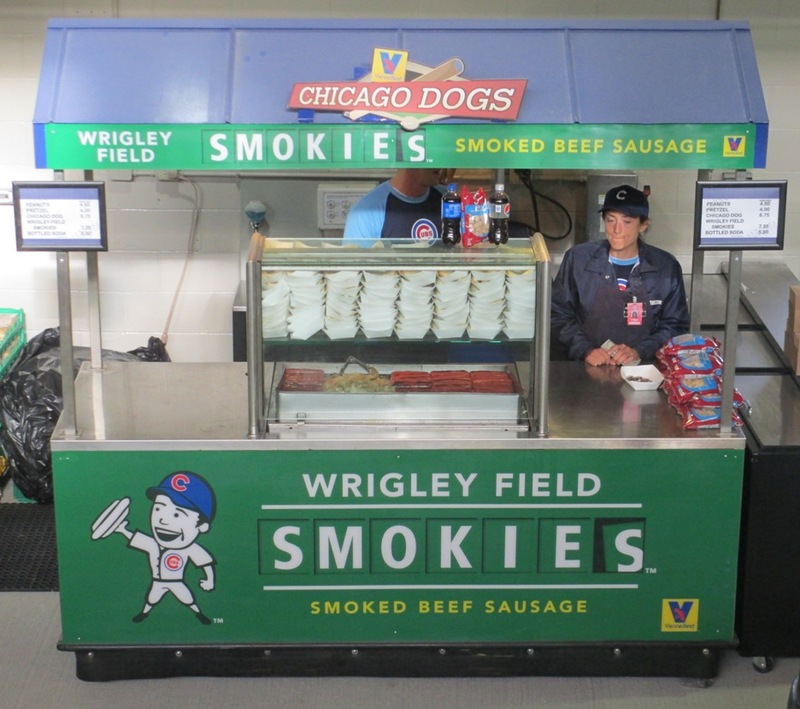 Fortunately the Cubs have added TVs in the lower level to help see anything you miss as a result. See 90% of the field for 100% of the price! In upper reserved sections, again, just avoid seats that end in low numbers, unless you’re in the first couple of rows. If the Cubs don’t mark a Row 1 or Row 2 seat as “Limited View”, it’s probably a great seat. 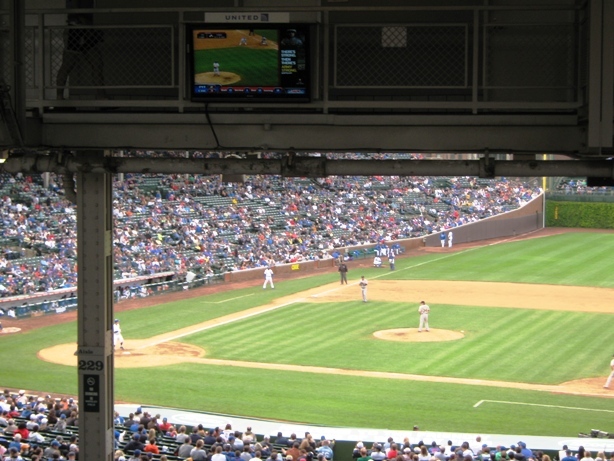 Again, you can always check with the nice folks at WrigleyGuide, but these are some basic rules that should help you avoid obstructed views at Wrigley.